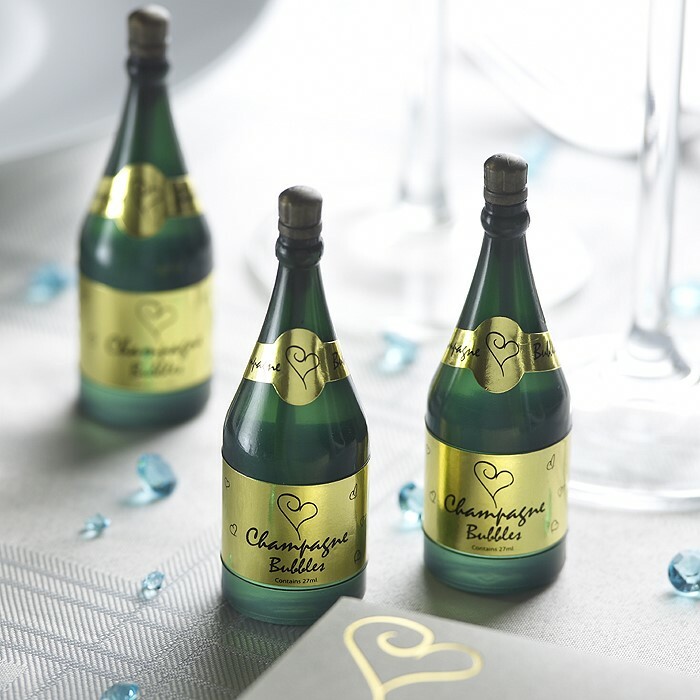 Bubbly bottle shaped bubbles with our contemporary heart design. These are simply great at any wedding celebration. Just place 2 or 3 on each table and watch everybody smile when they are blown. They are super entertainment for kids of all ages from 4 to 94. Bubbles also look fantastic on your photos when used as an alternative to throwing confetti. The bubble liquid is non toxic and non staining. Packs contain 24 items.